Many students are confused about the differences between the 2 Japanese particles は (wa) & が (ga). While in some occasions it's possible that they are interchangeable within a sentence with slightly different meanings, there are many distinct differences between these 2 particles. There are many functions for particles は (wa) & が (ga). In this lesson, you will get to learn the main differences between them and when to use which of them in different situations. If you can understand these differences correctly, you will be able avoid mistakes made by many students. Meaning: Mr Tanaka is a teacher. ...the speaker assumes that the listener also knows about Mr Tanaka and thereby knows who he is talking about. ...you emphasize that you don't drink coffee, but any other drink. 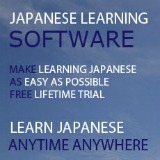 Notice that there are two は (wa) in the above example. Normally only one は (wa) or one topic is allowed in a sentence. In this case, the second は (wa) is the contrast marker. So it's ok that there are two は (wa). When you are describing something with adjectives, you will normally use this sentence pattern of Noun が Adjective です. This has been explained in the section of Japanese body parts. That's because if you say ゆき が しろいです (yuki ga shiroi desu), it sounds like normally snow is in other colors other than white. This is incorrect. Therefore, for description of universal things that never change, use は (wa). Let's say if something terrible happens one day and snow becomes red. In this case, you can say ゆき が あかいです (yuki ga akai desu - Snow is red) because this is new information that we don't know. Meaning: There is a book on the desk. You are just describing what you see with nothing particular in your mind. Meaning: There are children running over there. ...you are giving new information that there are children running over there. You cannot use は (wa) here because the listener don't know which child you are talking about. Therefore only when the listener knows which child you are referring to, you can then use は (wa) as the topic marker to be more specific. 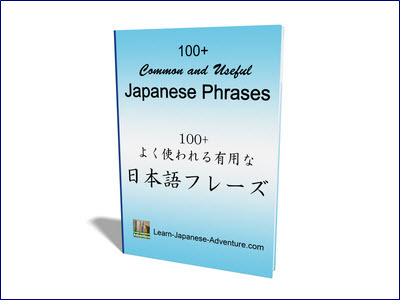 There are some fixed sentence patterns that use the Japanese particle が (ga), such as those which you use to describe Japanese body parts, and those which you use to describe Likes and Dislikes in Japanese. Meaning: Elephant's nose is long. Meaning: Which book is yours? As you can see in the above question, Japanese particle は (wa) cannot be used in question word, because Topic is something you should know you are talking about. 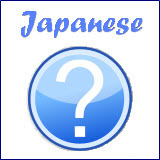 どのほん (dono hon) which means "Which book" indicates the speaker doesn't know which book, therefore が (ga) is used instead. Similarly, particle は (wa) cannot be used in question word for people. That's because you don't know who you are talking about. So it's always だれが (dare ga), you can never use だれは (dare wa). There are many more functions for this 2 Japanese particles は (wa) and が (ga). What you have learned above are just some main functions. If you want to know more about Japanese particles, I recommend you get one of these books on particles.